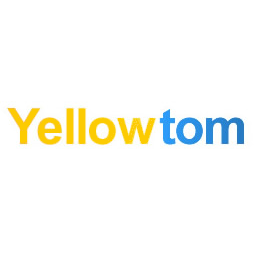 Established in 2003, Yellowtom is a lead generation platform aimed at businesses in the UK and Ireland who want to generate leads and increase their business on a local, regional or national level. Originally located in York, England, Yellowtom’s head office is based in Ballymena, Antrim. With Yellowtom, businesses receive a professional landing page to act as a hub that links all their online presences together, including their website and social media pages. These landing pages are optimised in such a way as to get local businesses found on major search engines. There are millions of well-presented websites in the UK and Ireland which cannot be found on the major search engines, which is where Yellowtom can help. From a business perspective, a Yellowtom page is not a large investment to make. It was not designed to be a local directory, although there are plenty of useful features for each local town like bus and train timetables, local news, local council information and cinema times. With the Internet always evolving and changing, Yellowtom has a never-ending development programme in place, aimed at keeping their platform at the cutting edge of internet marketing.